​Is your pooch your bestie? Don't think a holiday is the same without them? No need to leave your four-legged friend behind with these pet-friendly stays in the Hunter. Let's face it, we all know pets like a weekend break too! 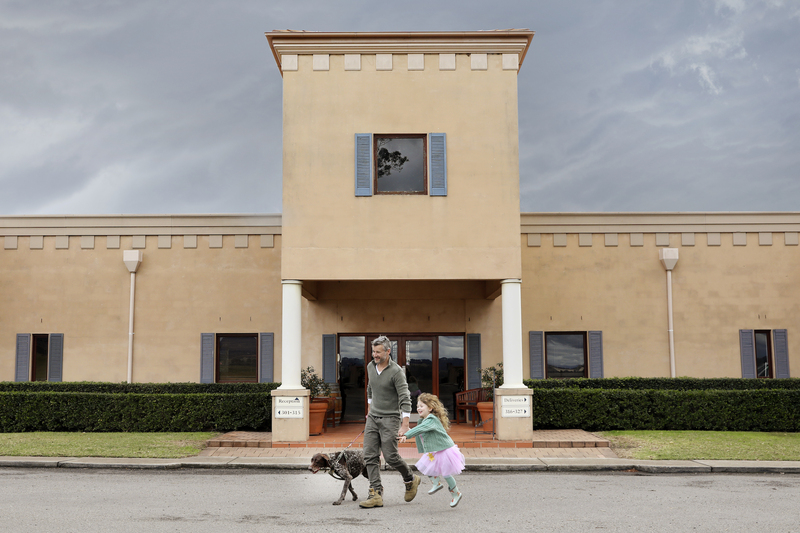 This Tuscan-style resort is perched on top of a hill with panoramic views of vineyards and mountains – and it's very pet friendly with warm cuddles from the team one of the treats. The 26-acre resort has oodles of space for your four-legged friend to explore on lead, five pet-friendly rooms and a pet-friendly table outside the restaurant so doting parents can still enjoy excellent food and wine with their doggo in tow. They also offer a pet-sitting service called Critter Sitters. Any other animals allowed? "Other furry guests have included rabbits, birds in cages and cats," says general manager Kirsty Gregson. "We recently had a cat, which was on a lead and enjoyed being walked throughout the property." A farm stay in a cosy cottage perfect for the entire family… including the furry members? Yes please. Well-behaved pooches can kip down inside the three-bedroom house, which has great views overlooking the vineyard, and there's a fenced backyard for them to chill out in if you decide to go sightseeing minus the mutt. Owners Carol and Terry Hughes love having happy hounds come and stay. "Our two Chocolate Border Collies Remy and Jack are friendly and we have lovely dams where dogs can swim and plenty of run-around areas." You can also holiday with your horse as the 40-acre property has a grazing paddock with a shed and dam. This accommodation and property management group has a large portfolio of self-contained properties for every taste and budget, including canines. They have eight properties that are dog friendly, where your furry pal is welcome to sleep outside and enjoy sniffing out new scents on the walking trails and making a splash in the dams. Vets say pet enrichment can be as easy as changing your daily walk, so a fun weekend in a new rural environment is certain to have tails wagging. The pet-friendly properties include Degen Estate, Tharah, Hillbrook Estate, The Lodge at Mount Rivers, Maranda Country Estate, Claremont Cottage, Hillcrest House and Kings Retreat. And The Lodge at Mount Rivers is horse friendly too. For other pet-friendly properties click here and enter our #hunterhounds competition to win.